Hospice is a type of end-of-life care in which the focus shifts from medical interventions aimed at a cure to palliative care, in which comfort and support for patients and their families are the main goals. Related: Our Key Questions article answers many other common questions. Which program is right for my situation? Patients and their families often find it challenging to understand the differences between various programs. We’ve developed a chart that provides a high-level overview explaining the differences between each program. 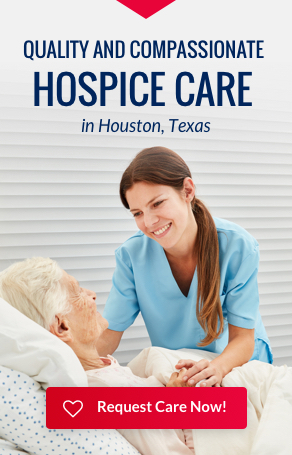 Additionally, we’ve provided an explanation of the different levels of hospice care. How are we going to pay for hospice? Hospice care is paid for in a variety of ways with Medicare, Medicaid, private insurance, TRICARE and charitable funds, if needed. Hospice means the patient will soon die. Hospice is for cancer patients. Patients can only receive care for a limited amount of time. Reality: The Medicare benefit, and most private insurance, pays for hospice care as long as the patient continues to meet the criteria necessary. Patients may come on and off hospice care, and re-enroll in hospice care as needed. Reality: The hospice team (which includes doctors, nurse practitioners, nurses, social workers, home health aids, and chaplains) visits patients on a scheduled basis according to the individualized care plan developed in conjunction with the patient and family. Our staff is available 24 hours a day/7 days a week for support and care. Reality: All licensed hospice programs must provide certain services and meet certain criteria, but the range of support services and programs differ. Many hospices use contract nurses. Accredited Hospices of America does not. Our staff has extensive experience in caring for hospice patients. Hospice is just for the patient. Reality: Hospice focuses on comfort, dignity, and emotional support. The quality of life for the patient, family members and others who are caregivers, is the highest priority. Reality: Although coverage for hospice is available through Medicare and in 44 states and the District of Columbia under Medicaid, most private insurance plans, HMO’s, and other managed care organizations include hospice care as a benefit. Reality: The role of the physician is to recommend care, whether hospice or traditional curative care. It is the patient’s right (or in some cases, the right of the person who holds power of attorney) and decision to determine when hospice is appropriate and which program suits his or her needs. The hospice medical director reviews each patient’s situation and determines if the patient is eligible for hospice care. Reality: Hospice care is often appropriate when an advanced illness is present, regardless of the patient’s physical condition. 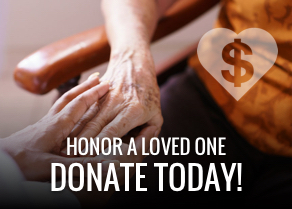 Many of the patients served through hospice continue to lead productive and rewarding lives. Together, the patient, family, and physician determine when hospice services should begin. After six months, patients are no longer eligible to receive hospice care through Medicare and other insurances. 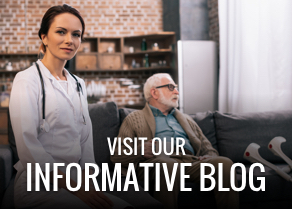 Reality: Hospice reinforces the relationship between patient and primary physician by advocating either office or home visits, according to the physician preference. Hospices work closely with the primary physician and consider the continuation of the patient-physician relationship to be of the highest priority. Reality: Patients always have the right to reinstate traditional care at any time, for any reason. If a patient’s condition improves or the disease goes into remission, he or she can be discharged from a hospice and return to aggressive, curative measures, if so desired. If a discharged patient wants to return to hospice care at a later time, Medicare, Medicaid, and most private insurance companies and HMO’s will allow readmission. Reality: When faced with an advanced illness, many patients and family members tend to dwell on the imminent loss of life rather than on making the most of the life that remains. Hospice helps patients reclaim the spirit of life.